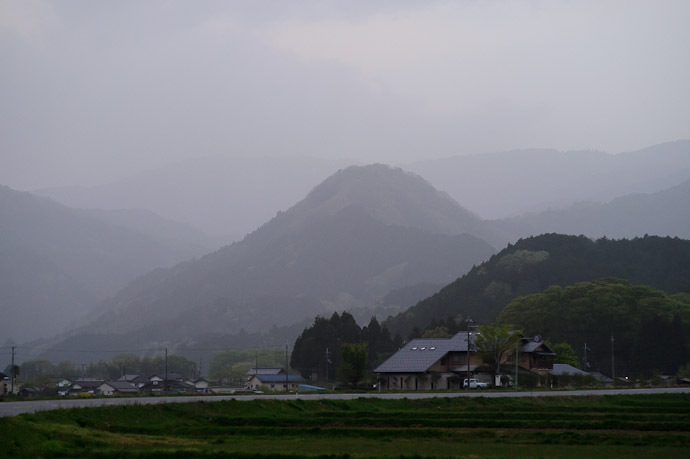 We were driving around the very-rural countryside of Toyooka, Japan the other day at dusk, when the beauty of some hills rising out of the mist caught my eye, and I stopped to snap some pictures. 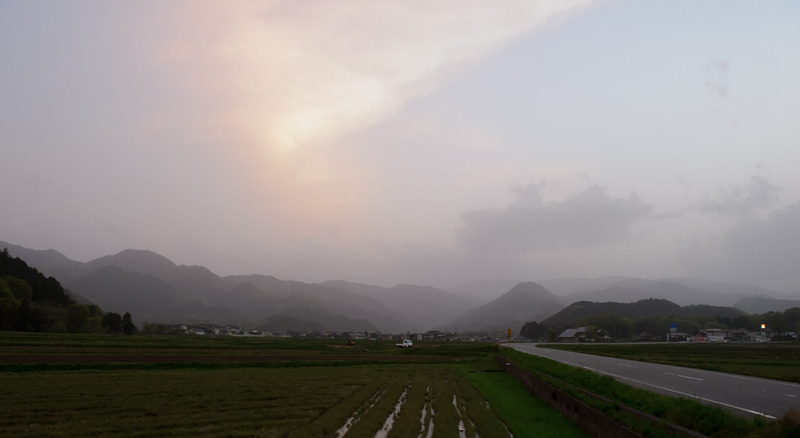 I ended up chatting for a while with a farmer preparing his field for rice (it's his white truck in the center of the second photo). 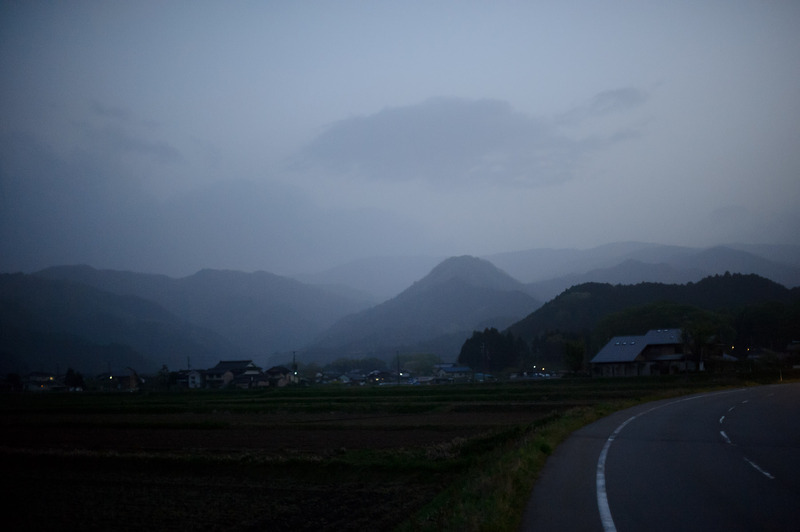 By the time I left, it was very dark, but the D700's low-light prowess brightens everything up. 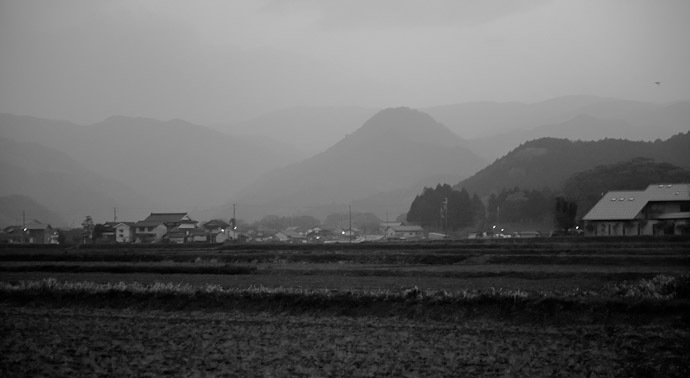 The lead photo is the last one I took. 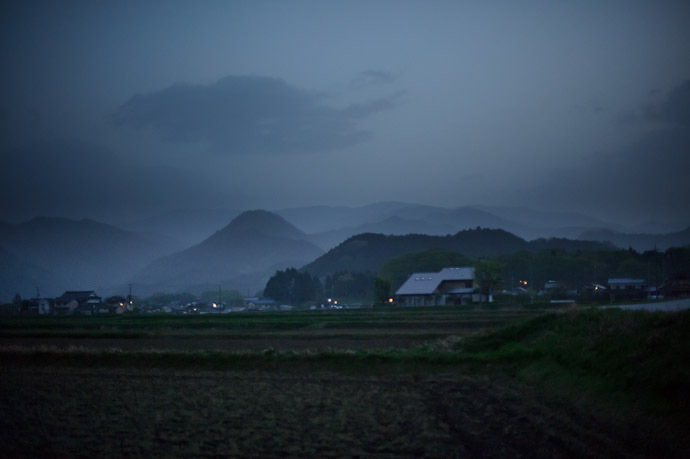 I sub-captioned the first photo “(sort of)” because while I thought it was an evening mist at the time, I realized today that it was probably kosa, the very fine yellow sand that blows in from China in the spring, turning day into a thick hazy cloud. It was really strong all day today for the drive back, and now that I think about it, the evening “mist” the other day must have been the start of the dust. They’re all very nice photos, but that last one is absolutely stunning. In situations like those it’s very difficult to capture what the eye saw and provide a true sense of the atmosphere, but that last shot really expresses it well. Does one feel the fine, yellow sand on the lips and/or in nasal cavity, more importantly on the front element of a lens?